If you're looking to share or copy a playlist you created, you've come to the right place. 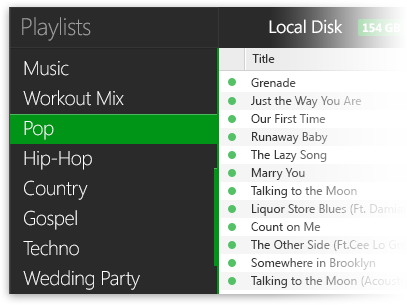 With its simple and elegant user interface, Sharepod lets you copy any playlist from any iPod, iPhone or iPad to any computer with just one click. Need to recover your music library after a computer crash? Got a new computer and trying to move your music collection into iTunes? Sharepod's Auto-Transfer lets you recover your music and playlists with just one click. 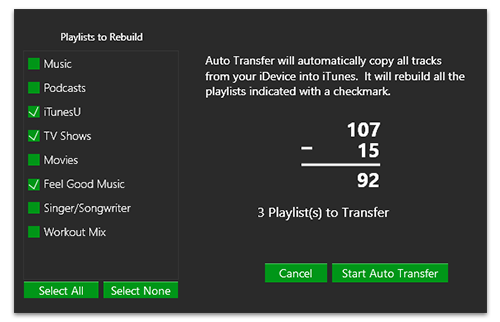 Transfer Music & Playlists from iPhone, iPod, or iPad to iTunes on Mac or PC.